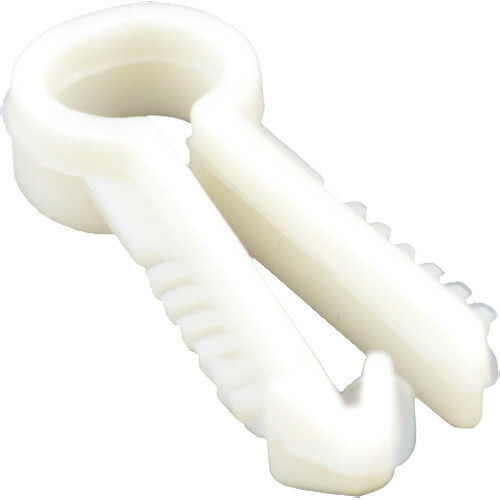 Use this white Press-In Cable Tie Loop 100-pack from CaP America to tie down a single cable using a 1/4" hole. The plastic loop closes around the cable and the straight end then presses into the mounting hole. Ridges on the straight ends allow for a secure grip within the hole.